As we sat on the tailgate of the truck, our frozen breath swirling under the light of a headlamp, we heard the first distant thud of rubber on dirt. The approaching runner was still a mile away, but you can hear just about anything that happens in the dense stillness of 2 a.m. in the desert. Sound carries in the dark. We were halfway through a two-day run bridging Bears Ears and Grand Staircase-Escalante National Monuments. Twenty of had us gathered there—17 humans and three dogs—because of President Trump’s recent decision to drastically shrink both national monuments in the largest elimination of federally protected land in American history. We’d filed our comments and called politicians, attended the rallies and signed the petitions, but none of it seemed to matter. 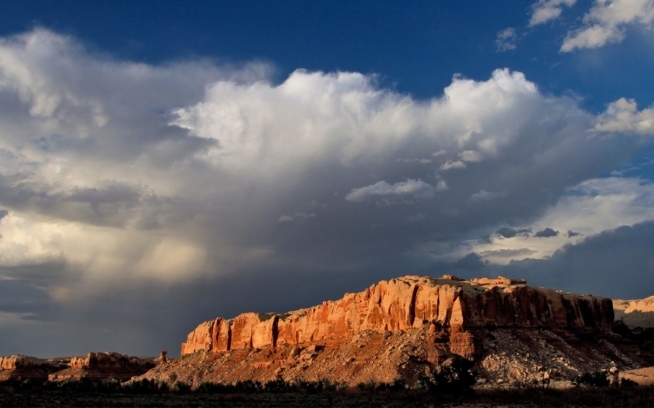 On February 2, this land that the Bears Ears Inter-Tribal Coalition, among so many others, had fought to keep safe, would officially open to extractive industries. Frustrated and disheartened, we decided to do what we knew best: we’d run. The idea itself was pretty simple: gather a group of runners, take turns running six-mile legs, and make it from the east side of Bears Ears to the west side of Escalante in a weekend. Within a couple of days we’d designed a route that crossed both monuments, the Ute Mountain Ute Tribe Reservation, Glen Canyon National Recreation Area, and a corner of Capitol Reef National Park. We sent out a text and almost instantly we’d assembled our team—local Navajo, everyday data scientists, Olympic athletes and dirtbags fresh out of Goodwill with a $5 pair of sneakers. Many of us, still strangers, had nothing in common except a curiosity for learning more about the cultural, recreational and ecological significance of these places—we weren’t all runners, but we’d sure as hell found a reason to run. Our route funneled us through conifer forests and snow-caked trails, sleepy mesas and purple earth, crumbling spires and echoing canyon walls. We ran past petroglyphs that gave us a glimpse of the years of human history we were becoming a part of. Len Necefer, a powerful voice in the outdoor community, had grown up running these same trails with his family. He shared with the group a sage and eagle-plume “baton,” explaining that eagles are the messengers between humans and Diyin Diné (Navajo Holy People), and that the Navajo had a long-standing tradition of using runners as conduits for communication and ceremonial practices, often covering hundreds of miles to share messages. As Len and the other Navajo runners continued to teach us about the land, we knew this run wasn’t about how many miles we racked up or who had the best time. It was about finding commonalities in the midst of a divisive political landscape and standing in coalescence—indigenous people, athletes, dirtbags—for our public lands. So, there we were, caravaning through some of Utah’s most desolate landscapes in the middle of the night, listening to the approaching footsteps of a runner through the dark. With a renewed sense of responsibility, we hoped those footsteps would carry a message: that these wild places are worth defending, and maybe the first step in doing that is to take another. And another. Maybe a rallying cry sounds more like the steady thud of rubber on dirt. After all, sound travels out here. February 2, 2018 is the first day Bears Ears and Grand Staircase-Escalante National Monuments will be open for business for the extractive industries. 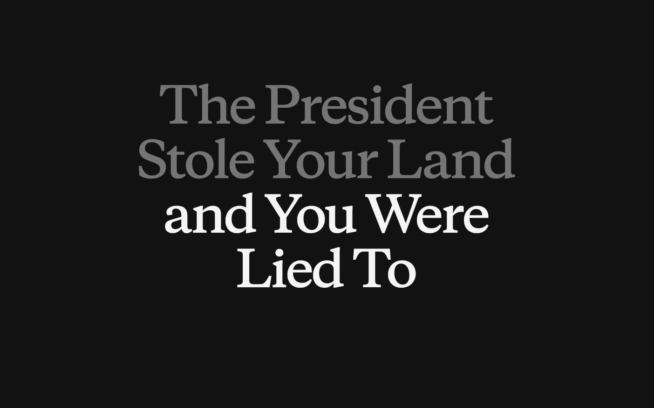 Help support the Native American Rights Fund (NARF) and their lawsuit against President Trump. Learn more and donate at MessengersRun.com. Thank you to the team that helped make this project happen: Magda Boulet, Len Necefer, Jorge Moreno, Katie Boué, Alice Baker, Craig Prendergast, Keith Madia, Wyatt Roscoe, Sheyenne Lewis, Clare Gallagher, Gil Levy, Carolyn Morse, Lenny Strnad, Brianna Madia, Maggie George, Daniel McLaughlin, Greg Balkin, Johnie Gall, Andy Cochrane, Dagwood, Bucket, Bea, Chaco and Gizmo.